Mini Holland- The discussion rumbles on. Mini Holland, seems to be one of the most controversial of projects to come to Walthamstow in recent years. While the area is set to benefit from traffic calming measures that will make the neighborhoods safer for children to play outside and the air quality will undoubtedly improve from traffic free zones, the congestion and reroutes are testing the patience of local residents. Mini Holland, is a dutch-inspired vision, funded by Transport for London and intended to create a safer and more pleasant local environment for cyclists and pedestrians alike. 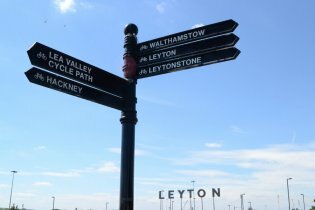 It began with the closure of three roads in Walthamstow Village Grove Road, Claredon Road Orford Road and will continue into a second phase with a segregated cycle superhighway installed along Lea Bridge Road and the introduction of a number of 20mph zones, later next year. The scheme has irrefutable merits, including the positive impact the lack of pollution will have on the local environment and the safety that will be felt by young families due to the lack of dangerous vehicles on residential streets. The scheme was intended to create an oasis of calm along specific cordoned off roads. There are however those who claim that the closure of certain streets has caused irreversible damage. There are plenty of local people speaking out against the changes. Local business owners say that their businesses have experienced losses of up to 50%, due to the lack of traffic to the locations of their store fronts. There is also huge concerns over the amounts of excess traffic that is building up at certain flash points. Closing the two roads has made simple car journeys far longer than before. Whereas a journey that could previously have taken 10 minutes, can now take up to 45 minutes. Protesters echoed these sentiments when they marched out side Waltham Forrest town hall, in opposition to further expansion of the scheme. Mini-Holland is not without its supporters too. Many locals have spoken out in praise of how forward thinking and contemporary the scheme is, given that it addresses important issues, such as environmental pollution and also how it encourages healthy living through enabling better cycling conditions. 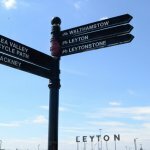 Waltham Estates is a letting agents in Walthamstow with properties to buy in Leyton and Walthamstow. We are passionate about the local community and facilitating the buying and selling of properties in this diverse and vibrant area. 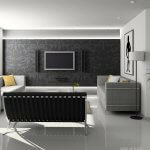 We realise how sought after the area has become in recent years and want to enable both buyers and sellers to get the best deals for their properties. 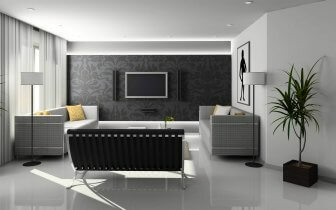 Call us today on 020 8509 0444 for more information about property in the area.